With Cloudflare, you can generate an origin certificate, it’s a free TLS certificate signed by Cloudflare and you can install it on your web server to secure connection between your server and the Cloudflare proxy servers. 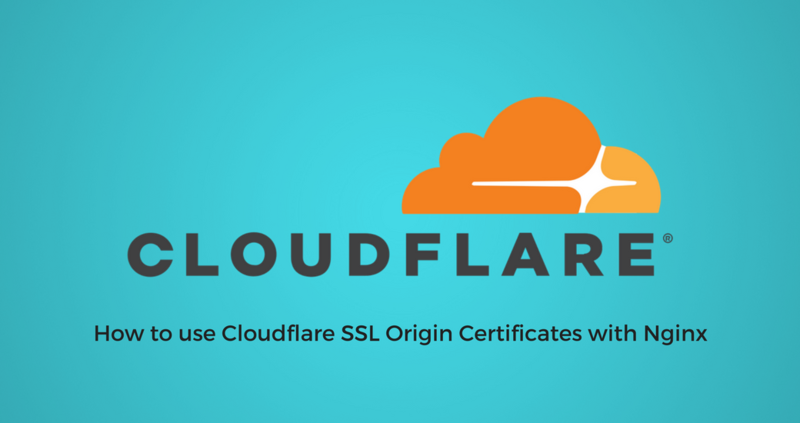 The main feature of Cloudflare origin certificates is the certificate validity, which can be set to up to 15 years, and the ability to include all your subdomains with a wildcard *.yourdomain.com. At first, go into your Cloudflare dashboard and in the section Crypto, click on create a certificate. If you have already generated a CSR (Certificate Signing Request) and a private key, you can copy your CSR content to generate your Cloudflare Origin certificate, otherwise you can let Cloudflare generate a private key for you and click on next to generate your certificate. We recommend you to choose an ECDSA private key rather than RSA, because ECDSA provide better performance and encryption level than RSA. After you click on the button next, Cloudflare will display your private key and your origin certificate. Make sure to save your private key before closing your web browser tab because Cloudflare will not display it anymore. 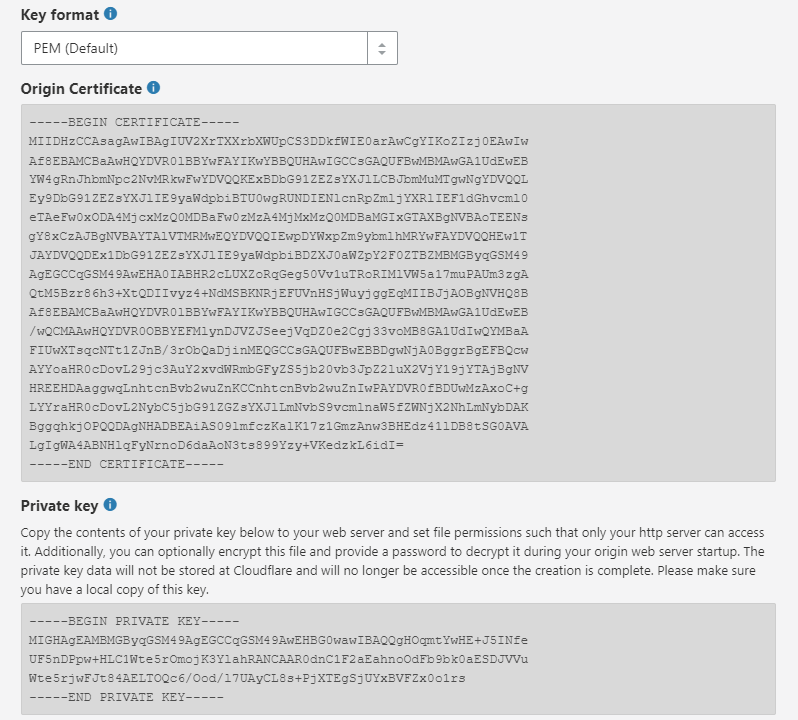 Create a new file yourdomain-tld-key.pem and copy the content of your private key inside this file, then create another file yourdomain-tld-cert.pem and copy the content of your origin certificate inside this file. To store your private key and your origin certificate, you can create a folder in /etc/nginx. In our example, we have put our certificate and our private key in /etc/nginx/ssl. This step is optional because Nginx will not attempt to validate the chain of your Origin CA certificate, it will only check if there is no error in your SSL certificate and in your private key. To add Cloudflare Root certificates authorities to your Origin certificate, you have to download them from Cloudflare website and to merge your origin certificate with the root certificate. Your Cloudflare origin certificate is now installed on your server, so you can change the SSL settings to “Full (strict)” in your Cloudflare dashboard. If you want to force redirection from http to https, you can enable the options “Always use HTTPS” and “Automatic HTTPS Rewrites” using your Cloudflare dashboard.